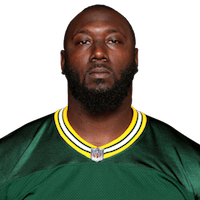 Wilkerson (ankle) intends to re-sign with Green Bay ahead of the 2019 season, Michael Cohen of The Athletic reports. "I like it here a lot," Wilkerson said. "I came here to prove that I can play at a high level and that was cut short. But that's how the game goes sometimes. I definitely want to get another shot to show what I can do." Analysis: Wilkerson, who signed with the Packers this past offseason, only lasted three games before fracturing and tearing "most if not all... of [the] ligaments" in his left ankle. There remains no timetable for his return to the field. 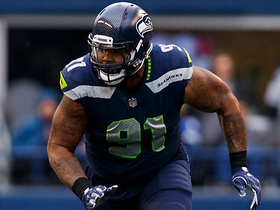 It's possible Green Bay could get him at a discounted price tag this time around, making his re-signing a low-risk, high-reward proposition given Wilkerson's past production as a pass rusher. Wilkerson (ankle) underwent successful surgery Tuesday, according to his personal Instagram. Analysis: Wilkerson was placed on injured reserve Saturday after he broke his ankle in Week 3 against the Redskins. He'll now begin the rehab process in hopes of being full recovered for the beginning of next season. The Packers officially placed Wilkerson (ankle) on injured reserve Saturday. Wilkerson (ankle) will miss the rest of the season, Michael Cohen of The Athletic reports. Analysis: Signed to a one-year, $5 million contract this offseason, Wilkerson managed just five tackles and no sacks in three games with the Packers. He reportedly suffered a broken ankle in Sunday's loss to Washington that ultimately required surgery, with the possibility of additional damage around his foot/leg. Montravius Adams and Dean Lowry will take on larger roles along the defensive line for Green Bay. Wilkerson (ankle) had a surgical procedure in the Washington, D.C. area after suffering a significant injury during Sunday's loss to the Redskins, Jim Owczarski of the Milwaukee Journal Sentinel reports. Wilkerson will not return to Sunday's game against the Redskins due to an ankle injury, Ian Rapoport of NFL Network reports. Analysis: Wilkerson was taken to the hospital after suffering the injury, Rapoport also reported. The 2015 All-Pro seems to have suffered a significant injury, though details remain undisclosed. Expect an update on Wilkerson's health shortly following Sunday's game. Wilkerson (groin) participated in practice Sunday, Michael Cohen of The Athletic Wisconsin reports. Analysis: Held out of practice and Thursday's preseason game against the Titans due to a sore groin, Wilkerson joined fellow defensive lineman Mike Daniels in drills Sunday. The duo, along with Kenny Clark, will compose a lethal front line once the regular season kicks off in September. Wilkerson did not participate in Tuesday's practice due to groin soreness, Rob Demovsky of ESPN.com reports. Analysis: Fortunately for the Packers, Wilkerson's injury isn't being viewed as a serious one, and the veteran defensive end is likely just getting the day off as a precautionary measure. Despite coming off back-to-back down seasons following an All-Pro 2015 campaign, Wilkerson is expected to start on the defensive line in Green Bay alongside Mike Daniels and Kenny Clark. Wilkerson signed a one-year, $5 million contract with the Packers on Thursday, Michael Cohen of the Milwaukee Journal Sentinel reports. Analysis: Wilkerson's deal with Green Bay was announced on Tuesday but wasn't made official until Thursday. He'll join Mike Daniels and Kenny Clark as the Packers' starting defensive linemen. Wilkerson will sign with the Packers, Rob Demovsky of ESPN.com reports. Analysis: Wilkerson will reunite with Packers defensive coordinator Mike Pettine, who was in the same position with the Jets when Wilkerson was drafted in 2011. The 28-year-old has recorded 44.5 career sacks over the span of seven seasons and will look to bounce back in his new home after a disappointing past two seasons. Wilkerson completed his visit with the Packers on Thursday and has meetings scheduled with the Saints and Chiefs in the near future, Jason La Canfora of CBS Sports reports. Analysis: Upon his official release from the Jets on Monday, Wilkerson's representatives have lined up a number of contenders as potential landing spots for the pass rusher. After posting double-digit sacks in a season twice between 2013 and 2015, he earned a massive five-year deal in the summer of 2016, only to yield eight combined sacks across the past two campaigns. Wherever he signs next, Wilkerson will be searching for the ideal situation in which to hearken back to his most productive days. Wilkerson is slated to visit with the Packers in Green Bay on Wednesday, Rob Demovsky of ESPN.com reports. The Jets informed Wilkerson on Wednesday that he has been released from the team, Adam Schefter of ESPN reports. Wilkerson finished the 2017 season with a career-low 46 tackles and 3.5 sacks in 13 games. Analysis: After signing a huge five-year, $86 million contract in 2016, Wilkerson saw a quick decline in his production, enough so that the Jets are fully ready to move on. Wilkerson was inactive for the last three games of the season, and it would take a significant change of heart for the team to bring him back. It's now all a matter of how they get rid of him, as he's slated to be a $20 million cap hit next season. Wilkerson (coach's decision) will be inactive for Sunday's game against the Patriots, a source informed Manish Mehta of the New York Daily News reports. Analysis: Jets head coach Todd Bowles labeled Wilkerson a game-time decision heading into the season finale, but there was never much reason to think New York would make the defensive end active for the contest. 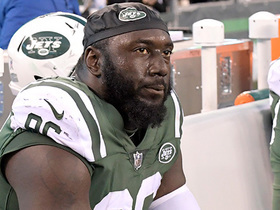 With Wilkerson likely to get cut after the season, the Jets had little to gain by having the 28-year-old suit up Sunday and expose himself to a serious injury that would leave the team on the hook for his $16.75 million salary next season. Wilkerson will travel to New England on Sunday, but his status won't be decided until game time, Rich Cimini of ESPN.com reports. Analysis: Wilkerson isn't dealing with injuries, but instead his performance has been below par and his locker room issues persist. Look for his status to be cleared up when the inactive list is released at 11:30 EST on Sunday. If Wilkerson is benched again, Xavier Cooper and Kony Ealy will likely continue to see increased defensive snaps. Wilkerson will be inactive Sunday against the Chargers in a coach's decision, Rich Cimini of ESPN.com reports. 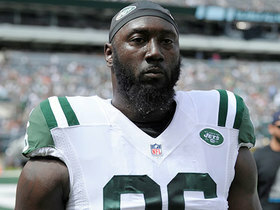 Wilkerson was a full participant in practice Thursday but still may not play Sunday, Connor Hughes of NJ.com reports. Analysis: Wilkerson was inactive last week against the Saints after a stretch in which the defensive end reportedly showed up late to multiple team meetings. It remains to be seen if head coach Todd Bowles will let Wilkerson suit up this week. A definitive answer will ultimately be gleaned when inactives are released prior to Sunday's game. Jets head coach Todd Bowles said that Wilkerson would be inactive for Sunday's game against the Saints in a coach's decision, Brian Costello of the New York Post reports. Wilkerson won't make the trip with the team to New Orleans. Wilkerson racked up six tackles (three solo) and one sack Sunday against the Broncos. Analysis: Wilkerson hasn't been the pass-rushing hound of seasons past, with just 3.5 sacks this season. Things won't get easier in Week 15, as Saints QB Drew Brees has been sacked on a mere 3.7 percent of his dropbacks -- ranking fourth in the league. Wilkerson recorded six tackles (three solo) and 0.5 sacks in Sunday's win over the Chiefs. Analysis: Wilkerson was benched to start the game Sunday after showing up late for a team meeting earlier in the week. In addition, his 36 defensive snaps in the contest were well below his 53.5 average on the year -- leaving some to believe the team is ready to move from Wilkerson this offseason when his contract expires. However, with his back against the wall, Wilkerson came to play against the struggling Chiefs, logging his most tackles in a game since Week 4. Wilkerson (toe) is active for Sunday's game against the Panthers, Ralph Vacchiano of SportsNet New York reports. Analysis: Wilkerson has consistently logged snap counts above 50 recently, and it's paid off, as he has 13 tackles, two sacks, two pass breakups and one interception in the last four games. He has been playing with this toe injury for the last few weeks at this production level, so fantasy owners shouldn't worry about his participation being limited Sunday. Wilkerson (toe) is questionable for Sunday's game against the Panthers. Analysis: Wilkerson was listed as a limited participant in practice this week while dealing with a broken toe, but the fact that he was able to put in any work at all is a good sign for Sunday. Wilkerson will likely be a game-time decision this weekend. Wilkerson (toe) was a limited participant in Wednesday's practice, Rich Cimini of ESPN reports. 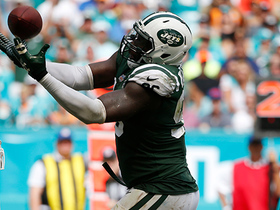 Analysis: Wilkerson is playing through a broken toe but has yet to miss a game this season. His practicing in capacity is good news for his availability Sunday against the Panthers. Wilkerson (foot) is active for Sunday's game against the Buccaneers. Analysis: Wilkerson has been a fixture on the Jets' injury report all season, but hasn't missed any games due to a multitude of issues, including a broken toe. It sounds like Wilkerson plans to keep pushing through the pain as long as he can, and fortunately for the Jets, his play hasn't suffered much because of it. He's recorded nine stops and two sacks over the team's last two contests. Wilkerson (foot) is listed as questionable for Sunday's game against the Buccaneers. Analysis: It was revealed Wednesday that Wilkerson has been playing through a broken toe for over a month, but the defensive end has managed to put together his best stretch of the season during that time. 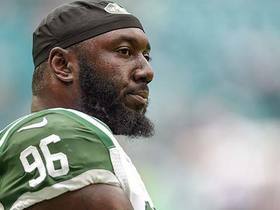 There is no indication that Wilkerson will be held out, but he may ultimately have to sit should the pain become intolerable for him. 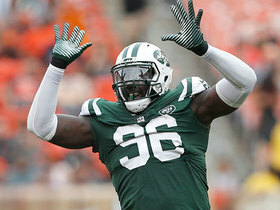 Wilkerson has been playing through a broken toe for more than a month, Brian Costello of the New York Post reports. Analysis: Wilkerson has drawn criticism for his seemingly poor play this season, with some people even questioning his effort. However, he's quieted those critics in recent weeks, starting with a strong showing against Miami in Week 7. He then logged his first sack of the season in Week 8 against the Falcons and added another in Week 9 against the Bills. It isn't clear how long it will take for his toe to heal, but Wilkerson has proven he can still be effective while playing through the pain. 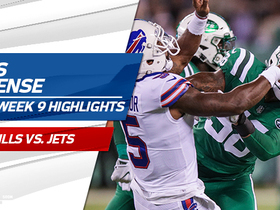 Wilkerson had three tackles (two solo) and a sack in Thursday's win over the Bills. Analysis: That's back-to-back games with a sack for Wilkerson after failing to record one through the first seven games of the season. The 28-year-old looks to still be battling multiple ailments as he has for much of the season, but has put forth much better performances the last two weeks as the Jets head into their bye week. Wilkerson (shoulder/foot/toe) is listed as active for Thursday's game against the Bills. Analysis: Although he was unable to practice in any capacity throughout the short week, Wilkerson will take the field Thursday. The Jets were presumably being cautious with the 28-year-old in order to maximize his health for the contest. Wilkerson (shoulder/foot/toe) is listed as questionable to play Thursday against the Bills. Analysis: Wilkerson didn't practice in any capacity in the short week. The Jets signed Xavier Cooper on Tuesday for depth in case Wilkerson is ruled out. 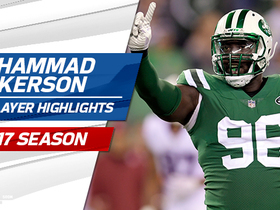 Check out highlights of New York Jets defensive end Muhammad Wilkerson from the 2017 NFL season. Hall of Fame linebacker Jason Taylor joins 'NFL Total Access' to find perfect team matches for some of the top free agents this offseason. NFL Network's DeMarcus Ware explains why he believes Muhammad Wilkerson would be a good fit for the Green Bay Packers. NFL Network insider Ian Rapoport breaks down why the New York Jets chose to release Defensive Lineman Muhammad Wilkerson. NFL Network Insider Ian Rapoport and Mike Garafolo discuss the future for defensive tackle Muhammad Wilkerson and the New York Jets. NFL Network Insider Ian Rapoport give an update on why Muhammad Wilkerson won't play Sunday, and why the team is likely moving on from the defensive lineman after this season. 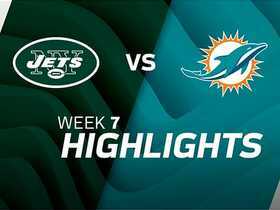 Watch the best plays from the week 7 matchup between the New York Jets and Miami Dolphins. New York Jets defensive lineman Muhammad Wilkerson knocks down Jay Cutler's pass and intercepts it right on the goal line for the crucial turnover. 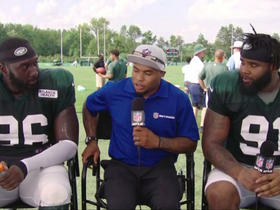 Jets defensive linemen Muhammad Wilkerson and Sheldon Richardson talk with NFL Network's Steve Smith Sr. about how their leadership capabilities help the preseason approach.